CONTACT US NOW FOR ADVICE. If you are undertaking building work in Warrington or Widness you may well have to serve notice under the Party Wall etc. Act 1996. Richard G Johnson Ltd has been trading since 1998 but is generally known as PartyWall.Expert with our distinctive logo. Our aims are to make the process as open, honest and straightforward as possible and to ensure that all parties are kept informed of progress and that our service is the most cost effective without charging exhorbitant fees. In many cases we aim to provide fixed fees from the onset. We pride ourselves on our flexibility and personal involvement towards your requirements.  If you are looking for a professional yet flexible approach to all your property matters then call Party Wall Expert and speak with Richard G Johnson for an initial free and informative chat. For the assurance of appointing a surveyor to deal with your project effectively, contact us now. Many people do not know that once you appoint a surveyor under the Party Wall etc. Act 1996, you cannot rescind that surveyors appointment no matter what reason you have to do so. In other words you have to continue with the same surveyor until the dispute is resolved. This is simply to prevent owners holding up the party wall process. Richard G Johnson is a Member of the Faculty of Party Wall Surveyors and has been an Associate of the Chartered Institute of Building since qualifying in 1995 having been in the industry for over 30 years. Further he has a Diploma in English Law. Richard is also a member of the Pyramus & Thisbie Club which seeks to advance knowledge of party wall legislation and procedure and to promote best professional practice in its application. As the Party Wall etc. Act 1996 is a piece of government legislation and it makes sense that a party wall surveyor should have some legal training. Along with legal training there is also a need to have a good knowledge of building. By deciding to use Richard G Johnson you can be assured that your party wall matters will be dealt with professionally and without fuss. Coupled with this you are not going to pay the earth or unknown amounts for the work undertaken. Wherever possible, fixed fees will be agreed. When you need to speak to someone about your party wall matters you will always be talking directly to Richard rather than a secretary, whether it is early morning or late at night and even weekends in most cases. We are based in South Manchester but work all around Cheshire and the North West and are also very active in and around London where we are particularly experienced in basement developments.